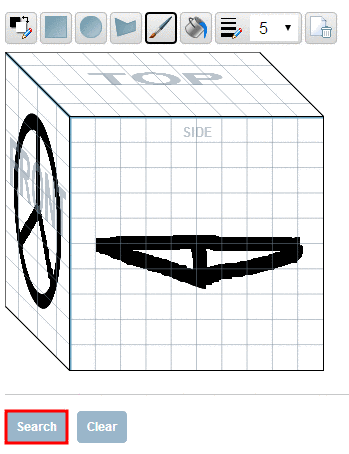 How can I generate a CAD model? 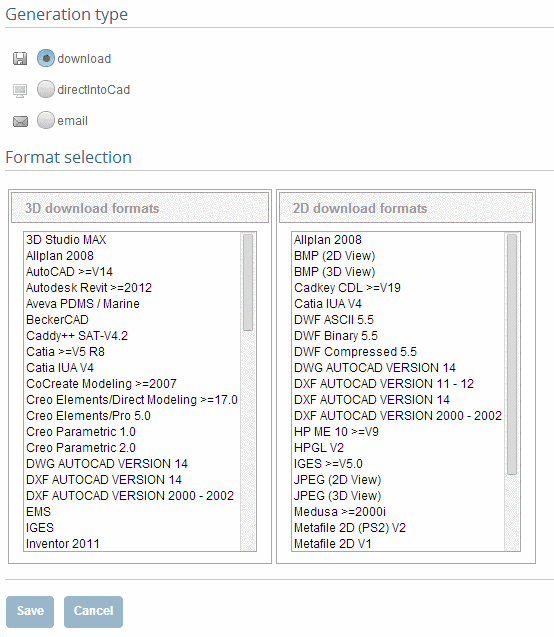 Make sure that your are in the dialog area 3D CAD CATALOGS and select the desired catalog. 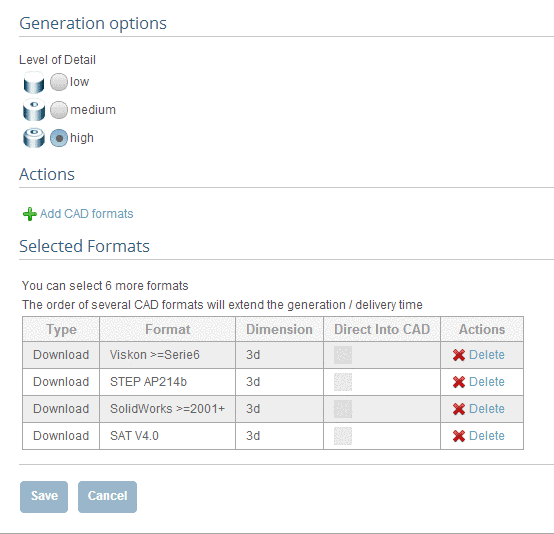 -> A soon as a concrete row has been determined, a 3D view and dimensional drawings are loaded under CAD model preview. 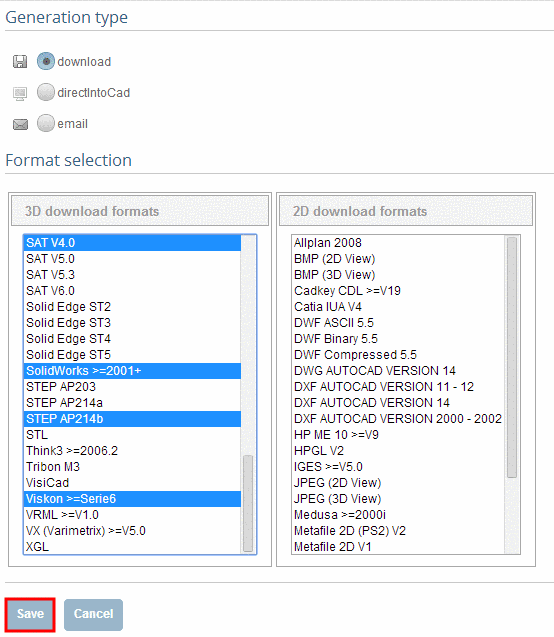 In the dialog area Download CAD models under Actions define the generation type and the desired CAD formats by clickingEdit CAD formats. 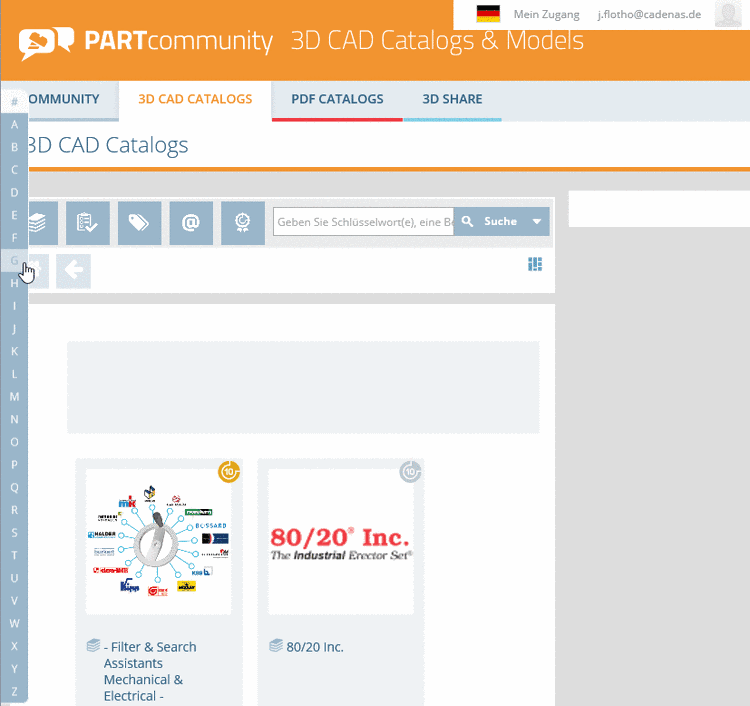 -> The generation of CAD models was started. Generation successful. Part ready for download. 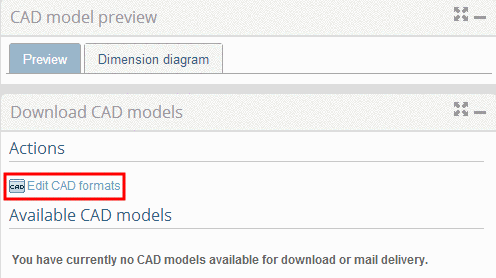 How can I select a CAD model? 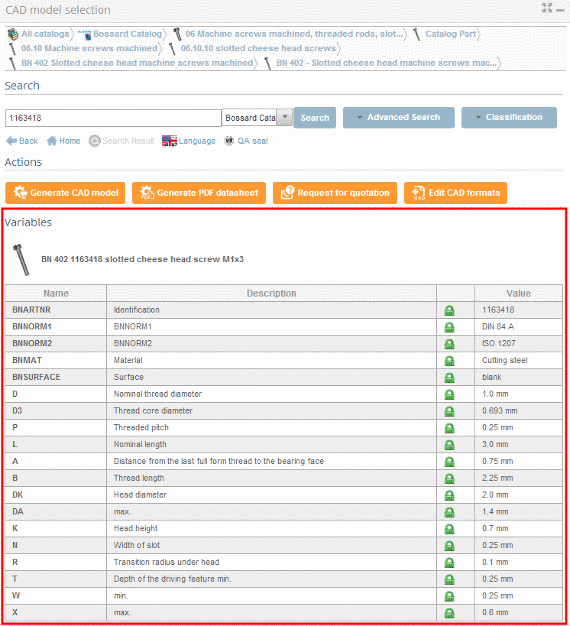 While browsing the directory levels, click on the logo/image or the link. With Back you reach the previous level. 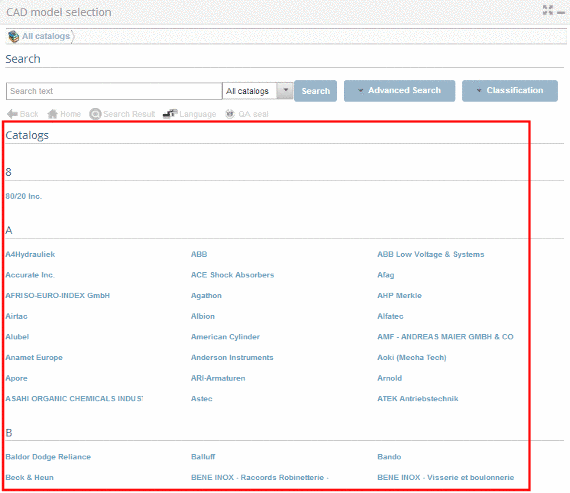 With Home you reach the catalog selection at the highest level. 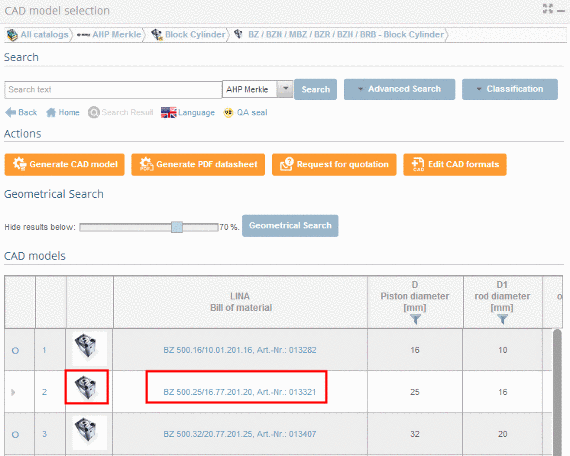 After you have selected a catalog, you may now select the catalog language. 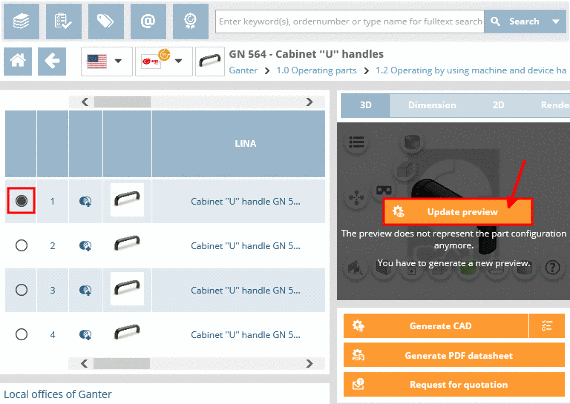 Catalog language and language for the user interface can be set differently. Choose an assembly or a single part. 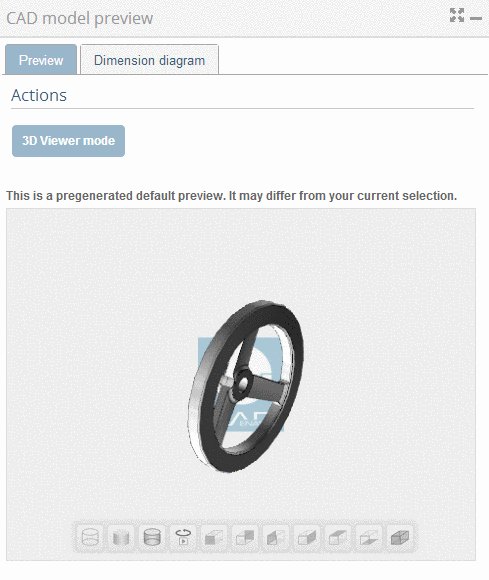 As soon as a concrete row has been determined, a 3D view and dimensional drawings are loaded under CAD model preview. 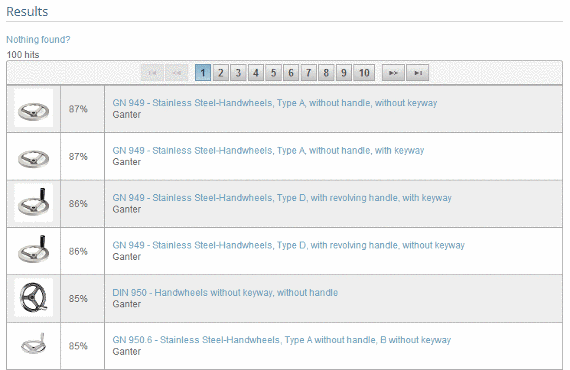 Define the characteristic of the part, by clicking into the option button before the desired row. 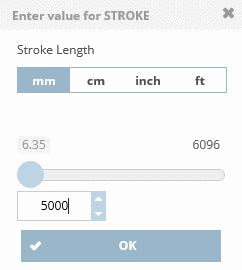 No value range fields will be shown in the variable view. 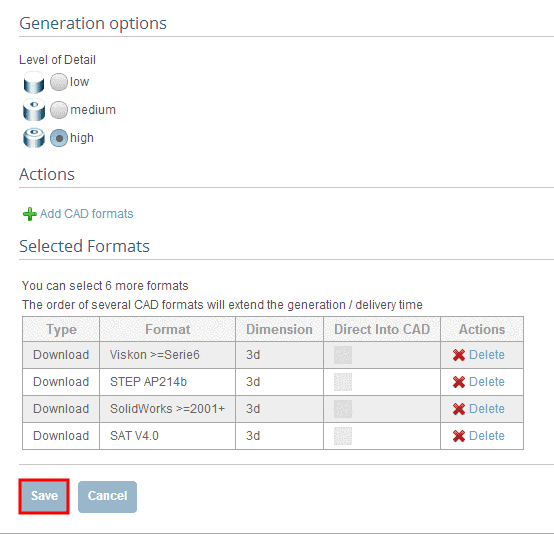 As soon as you are located in the table view and a row has been selected, the generation of a CAD model is possible (only useful if there are no value range fields to be set). 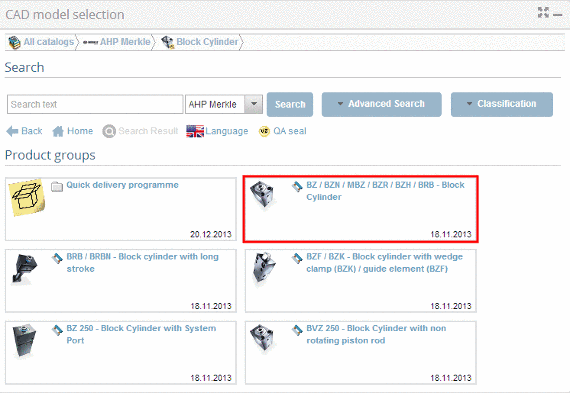 In order to reach the variable view, click on the part link or preview image. 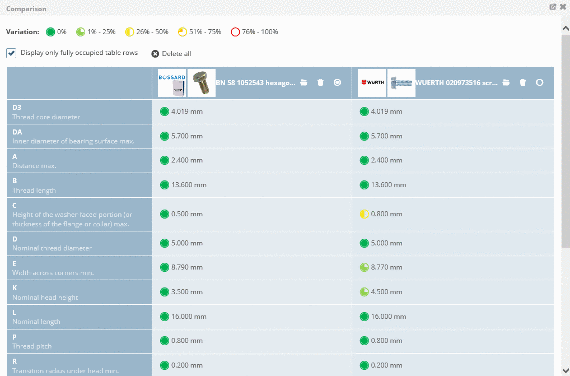 -> You can now see all variables in list form. 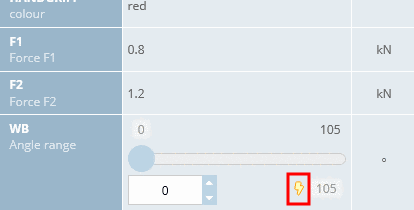 In case value range fields are available - you will recognize this by the yellow-highlighted fields - use the arrow button in order to open these fields and select the desired value and simply enter it directly into the input area (alternatively also possible using a slider). How can I select a CAD format? 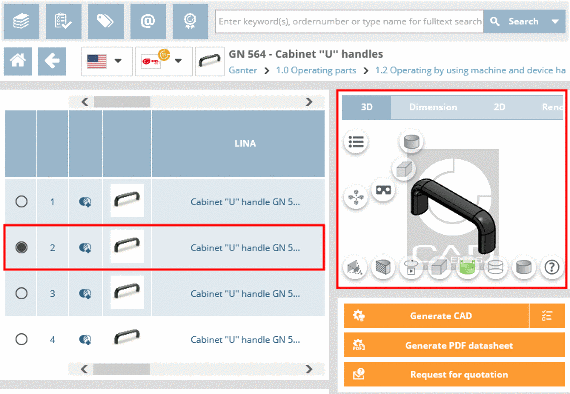 Under 3D CAD CATALOGS you have the possibility to choose CAD formats and to define the handing over mode in the CAD system. 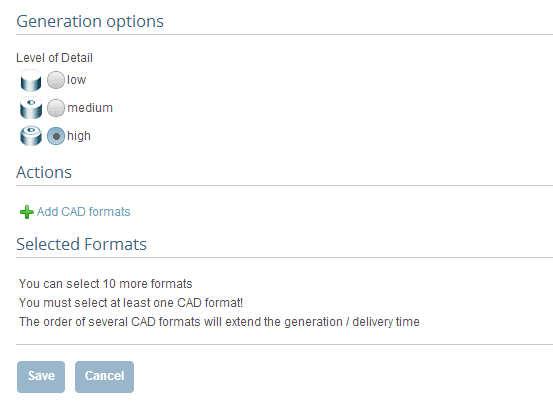 Click on Add CAD formats. First determine the desired generation type. 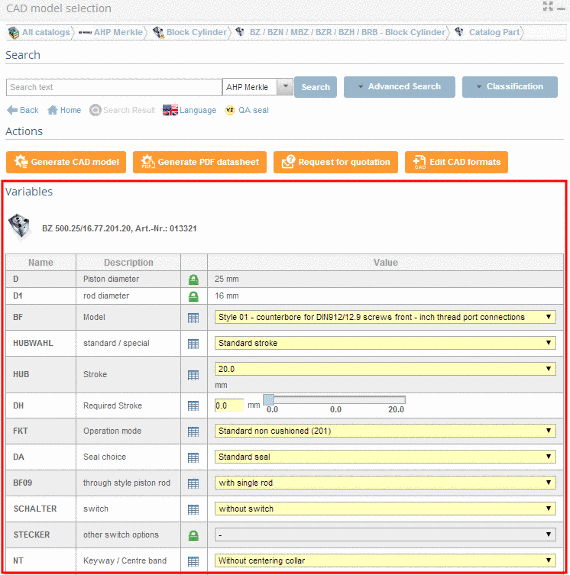 Click into the desired option field. 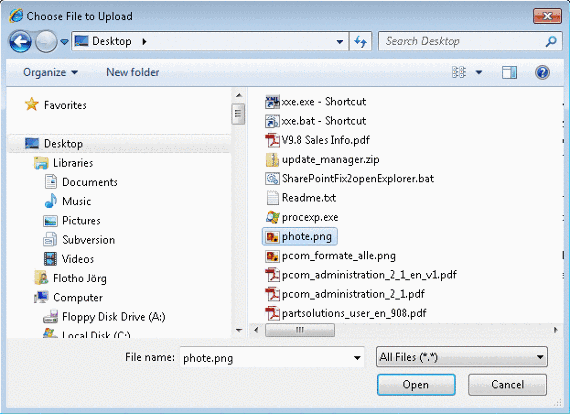 Select a format or several formats. By holding down the CTRL key, you can make multiple selections. Max. 10 formats (in total for all generation types) is possible. You can now repeat the format selection for another generation mode if desired. 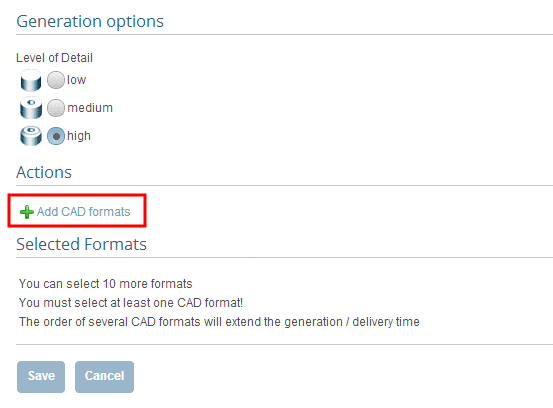 Go back to Add CAD formats. 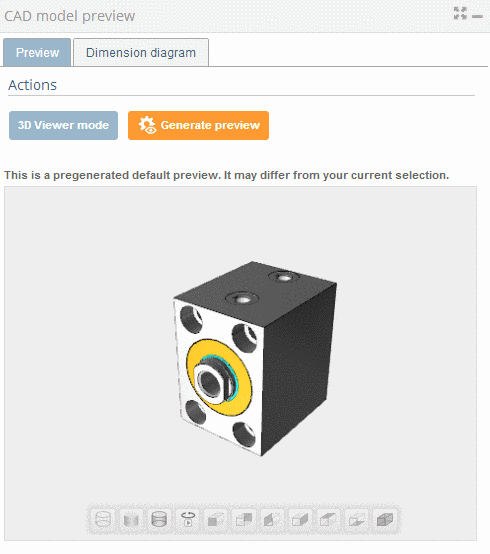 -> The current format selection is shown. 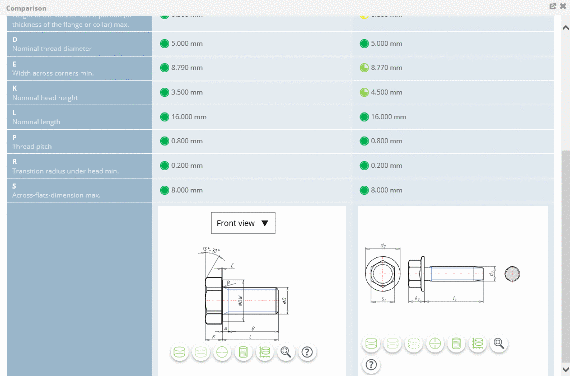 How can I search for parts by sketch? 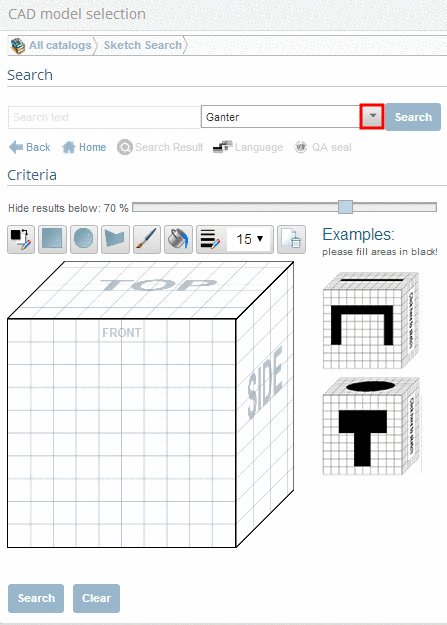 You can conduct a search based on self-drawn sketches. 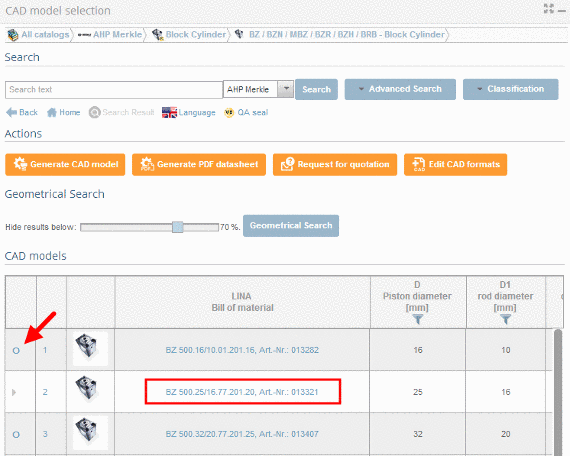 For a successful search, the part should be represented by at least 2 views (for example: top, right). -> A drop down menu opens. 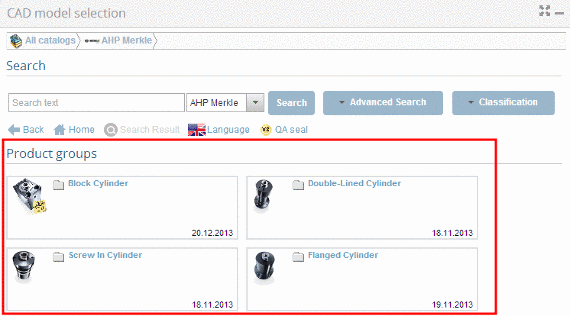 Open the list field by arrow button and select the catalog which you want to search through. 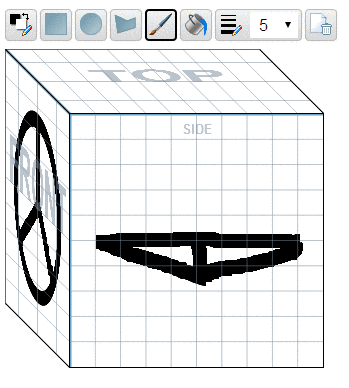 In order to draw the first sketch, click on the desired view (Top, Front, Side). Select black as your color. 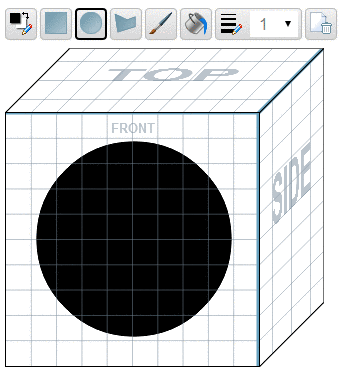 With your left mouse button, click into the center of the sketch and pull open a black circle by holding down the left mouse button. Change your color to white. 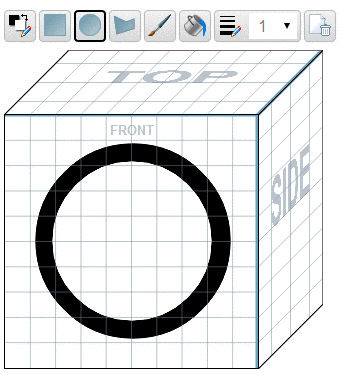 With the left mouse button, click into the midpoint of the sketch and pull open a smaller white circle whilst holding down the left mouse button. Change the color back to black. 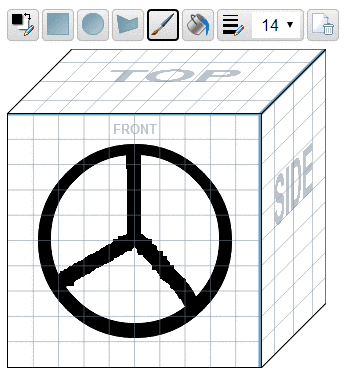 Set the line thickness to 14. 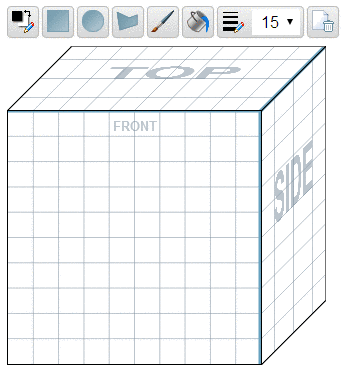 Click into the next view box in order to make your second sketch. Draw a second version of the hand wheel. The settings are already set correctly. The search results are listed.